designed for most challenging conditions. 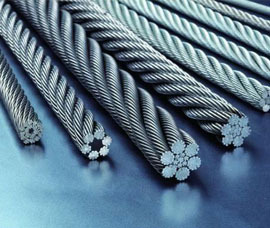 These products are corrosion and rust resistant and have high mechanical strength. Every product is designed, keeping in mind ease of use and safety of the operator. 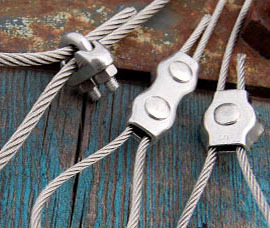 We are one of the leading manufacturers and suppliers of a distinguished range of Wire Rope Clamps and have carved a niche of ourselves in this product category. These are made of high-quality materials. 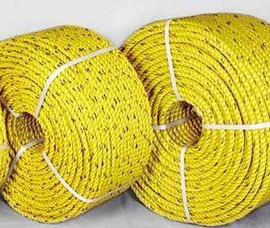 Polypropelene Ropes, which are available as per the given information by our clients and these products are used in various industrial applications. We offer these products in custom made designs. bearing support and has double pawls that allow supporting fail-safe brake mechanism. Coming with high safety factor, these pulley blocks also come with optimized transmission ratio that allows for improved operation support. At present the company is carrying forward to its new heights by Mr. Devdeep Chakraborty in the guide line of his father Mr. D Chakraborty. 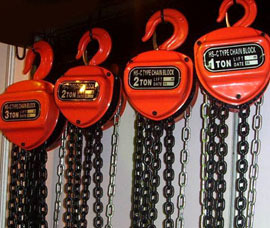 We Chakraborty Lifting Equipments Co. are one amongst the renowned exporters & suppliers of Wire Ropes. Copyright 2017 © Chakraborty Lifting Equipments Co.